Families often turn to tutors when their student’s grades are slipping or test scores aren’t up to par. But did you know this supplementary education option would be more beneficial before major problems arise? Below, MindsAhead Academy in New Jersey shares three reasons it’s never too early to enroll your kids in tutoring. Many students don’t seek tutoring until they are preparing for a college entrance exam, like the SAT or ACT. While this is helpful, it’s even better to work with a tutor in the years leading up to these tests. This will enhance your student’s subject matter understanding at an earlier age so they can build off that knowledge and be prepared when it’s time for the exam. They’ll also likely have better grades, which means they can apply to more prestigious schools. Don’t wait until your children are in physics and struggling to get them help with math. Your kids may show signs of difficulties with different subjects as early as elementary school. 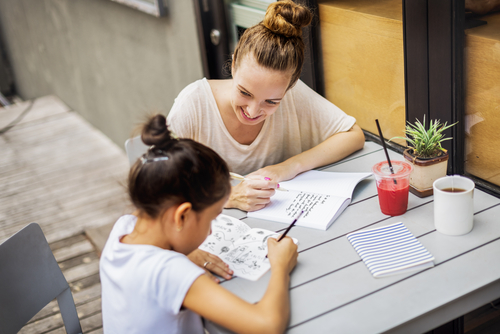 It’s more helpful for them to begin tutoring at a young age so they can learn easier concepts and then progress toward more difficult topics. Without this base to build on, your kids may have trouble as they move up through the grade levels. When kids don’t understand their schoolwork, they tend to get frustrated and may not want to try. This can quickly turn into disliking school and not wanting to go to class. Prevent this by enrolling your children in tutoring the moment you sense they need some extra help. This assistance can help them succeed and get back on track for learning. They’ll see school can be fun as they improve their understanding, test scores, and grades. Don’t wait until your kids are having a difficult time in school to sign them up for tutoring. To talk about the many learning programs available at MindsAhead Academy, call (732) 791-4848. Their tutors are highly trained and teach critical thinking and problem-solving skills while helping students improve academically. Visit the website to learn about their programs and mission.